Dermaplaning is a technique used to remove dead skins and give your skin a bright, fresh appearance. 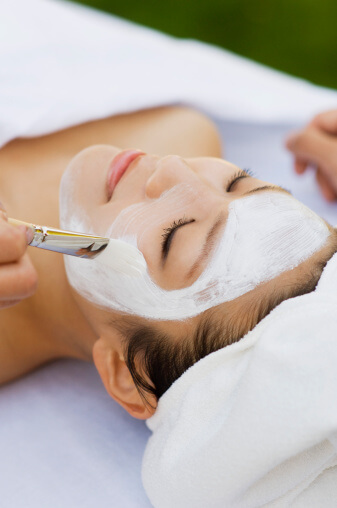 It can be performed in a salon spa and is well suited to most skin types, whether your face is in serious need of exfoliation or if you simply want a maintenance treatment to keep your skin looking its best. Could dermaplaning be right for you? Here is what you need to know. Dermaplaning involves the use of a surgical scalpel, but there is no cutting involved. During a dermaplaning treatment, your aesthetician will use a scalpel to scrape off dead skin cells and peach fuzz on the surface of your face. These cells and the small hairs build up and make your skin look dull, plus, they can trigger clogged pores and breakouts. Dermaplaning is a kind of exfoliation, which skin care experts recommend as a key part of keeping skin healthy and youthful. The question on everyone’s mind when they hear about getting a procedure done with a scalpel is whether it will hurt. Fortunately, dermaplaning is completely painless. Dermaplaning is safe for all skin types. It is especially good for people with dry skin, fine lines, and sun damage. Because of the sharp scalpel that is used, it is not the best treatment to try when you have an active acne breakout with enflamed pimples. However, when your breakout calms down, dermaplaning can help to reduce future episodes. Peach fuzz won’t grow back darker or thicker. Most people assume that scraping hair off the face will make it grow back thicker and darker each time. However, this doesn’t happen with dermaplaning. You may notice that the hair feels a little different when it grows back, because it is cut straight across, but it won’t be thicker or darker, and it won’t grow faster. Find out how dermaplaning can help you look your best by making an appointment at Salon Nouveau. Schedule an appointment for skin treatments in Tucson by calling (520) 323-0770.